Although there is little doubt that the Internet of Things (IoT), a technology designed around devices sharing information and data with each other, is the future of a connected world, it also means more things that can be hacked. 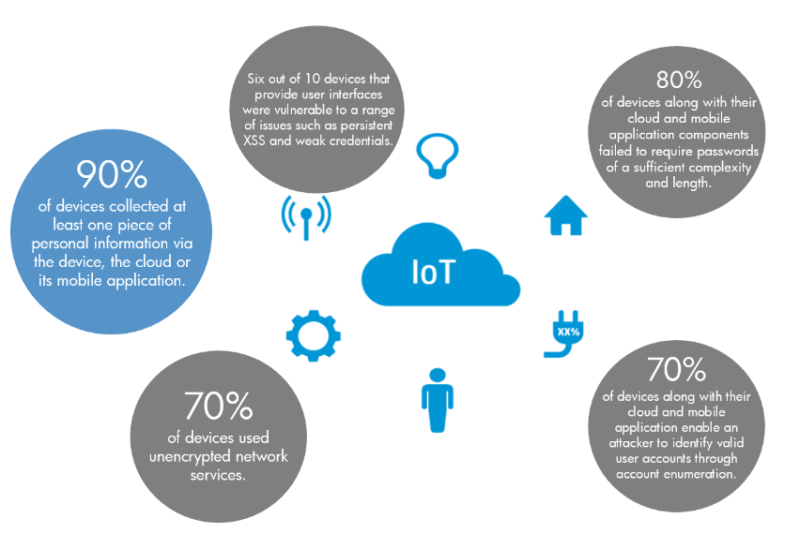 Adding to the worry is a new report from HP that says around 70% of the most popular devices in some of the most common IoT niches are easily hackable. Conducted by HP's security unit Fortify, the study covered 10 kinds of IoT gadgets, such as TVs, webcams, home thermostats, remote power outlets, sprinkler controllers, hubs for controlling multiple devices, door locks, home alarms, scales, and garage door openers. The company said these 10 devices were tested for around three weeks, during which a total of 250 security flaws were identified, averaging 25 vulnerabilities per device. Some of the common issues found involved privacy concerns, insufficient authorization, lack of data transport encryption, insecure web interfaces, and inadequate software protection. However, the PC maker said that most of the flaws discovered are easily addressable. For example, missing features like strong passwords, encrypted communications, and more shouldn't be hard to add. “While the Internet of Things will connect and unify countless objects and systems, it also presents a significant challenge in fending off the adversary given the expanded attack surface”, Fortify vice president Mike Armistead said in a press release. According to Gartner, the Internet of Things will reach 26 billion units installed by 2020. Security should be on top of the priority list for IoT device manufacturers because if hackers are able to break in, there's no telling what sort of damage could be done.